Top 5 Health Benefits of Cumin. A potent, tasty spice with iron as standard! Home » Diet » Top 5 Health Benefits of Cumin! Spices are often the food stuffs that get tucked away at the back of your cupboard primed and ready for that rare day when you are preparing a curry from scratch. Cumin is one of those amazing little ingredients that people just forget about but there is a lot of surprising goodness in eating a meal prepared with it. So, here are our Top 5 Health Benefits of Cumin! Cumin contains some very useful nutrients like iron and copper which are needed for healthy red blood cells. Cumin also contains potassium which helps with your blood pressure. You only need a small amount of cumin in your diet, one tablespoon contains 22% of your daily recommended amount of iron for example, in addition to all its other amazing nutritional properties. In studies, cumin demonstrated the ability to suppress inflammatory response in humans as well as rats. This is due to its ability to effect the protein NF-κB, a protein that reacts to stress, radiation and antigens. 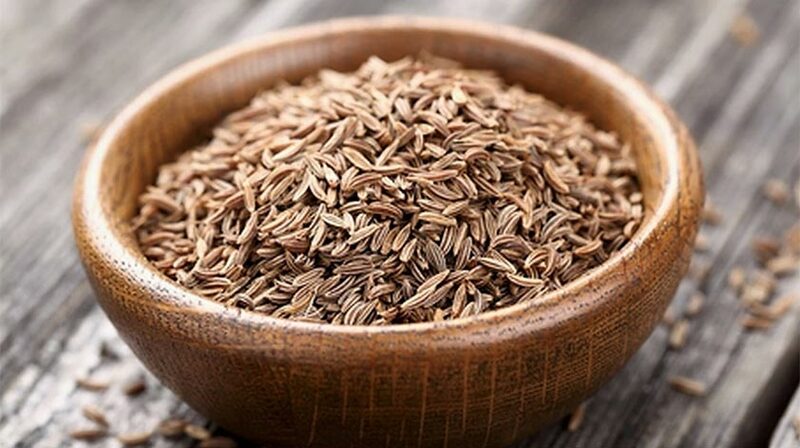 Sources even suggest that cumin could be helpful for treating inflammatory diseases so a decent amount of cumin your diet could help you with long term such conditions. Among other things, it contains a decent amount of calcium which is great for your bones which is normally found in dairy products like milk and yogurt. So, if you are cutting dairy out of your diet and considering going vegan, cumin could be a good new source of calcium to maintain the strength and health of your bones and teeth. It may come as no surprise to you that this spice is very helpful for your digestion. It’s even been suggested as a treatment to relieve the symptoms of irritable bowel syndrome by an article published in the Middle East Journal of Digestive ­Diseases. This is because cumin contains terpenoids which have been proven to regulate and balance gastro-intestinal motility if used in proper doses. The inclusion of zinc in your balanced diet provides plenty of benefits for your health including assisting your immune system’s main functions. Cumin is also a powerful antioxidant and black cumin in particular, is known to be an immunomodulatory which is a chemical agent that affects antibodies and antigens. Therefore, a regular amount of cumin is proving to be an effective immune system booster. Finally someone who also thinks food is a stress buster! Fried rice is my fave since school days. Try adding some cumin powder, black salt and a few drops of lime, tastes divine!